Do you want to enjoy Star Alliance’s business class lounges for free every time you fly with one of their airlines, regardless of your class of travel? Do you want to be prioritized in the boarding process? Do you want to get free extra luggage allowance? 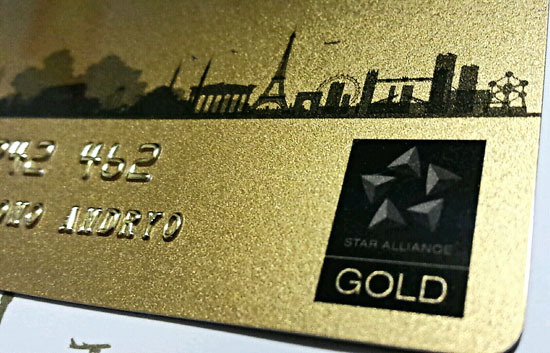 With the Star Alliance gold status, you can enjoy all the above, and more. Aegean Airlines are quite famous among frequent flyer forums on the internet, for being super generous with their requirements for giving Star Alliance gold and silver statuses to their members. By the way, Aegean Airlines are the largest Greek airline by total number of passengers carried, by number of destinations served and by fleet size. When you first sign up for their Miles & Bonus program, you instantly get 1,000 miles / points to start with as a bonus. Then when you reach 4,000 miles, you will earn silver status. And then, with only 20,000 miles, you will earn gold status! Compare it with Singapore Airlines – KrisFlyer Elite Gold, where you need to collect 50,000 miles before reaching gold. Plus, the gold status you earn will only stay for a year, unless you collect another 50,000 in the running year. With Miles and Bonus, the status will stay for 2 years. And all you need to do to retain the status is to at least fly once with a Star Alliance airline member and claim the miles through Miles and Bonus. More information can be found here. Airport Lounge Access – When you travel with any Star Alliance member airline, regardless of your class of travel. Extra Baggage Allowance – An additional 20 kg (44 pounds) where the weight concept applies, or one additional piece of luggage where the piece concept applies. Priority Baggage Handling – Your bags get priority treatment and are among the first to be unloaded. Wah saya kuliah di sana dari 2007 sampai 2009 awal, jadi udah 5 tahun yang lalu. Waktu itu saya gak ketemu orang Indonesia lain di kampus.